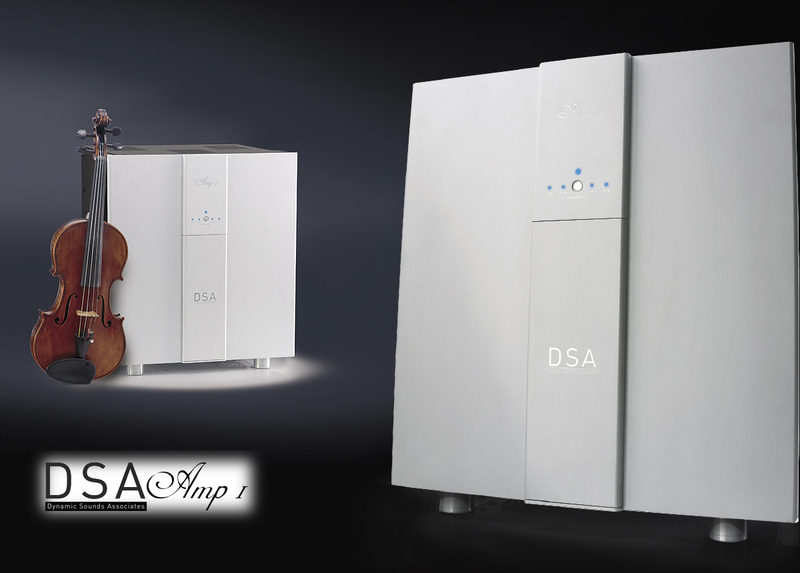 The DSA Phono II was designated a coveted "HIGHLY RECOMMENDED Product" designation by Mono and Stereo this year. 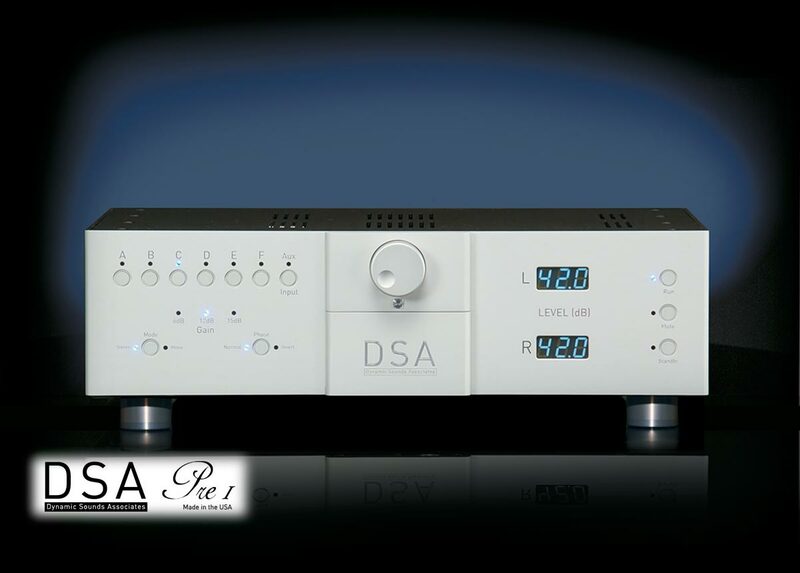 Dedicated audiophiles who have experienced components designed and manufactured by Dynamic Sounds Associates (DSA) rave about the dramatic sonic improvement they enjoy. Ironically, the intense research and relentless engineering efforts that distinguish a DSA design are about only one thing: contributing to the journey from musical source to final expression without leaving any sonic imprint. A lofty goal…but consistently realized in every product we make. 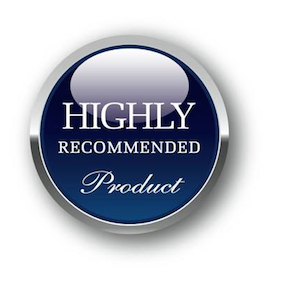 In 2012, we introduced the Phono II - "the ultimate experience in Phono Preamplification." While building on the much-heralded performance of the Phono-ONE, the new model directly addressed the valued feedback we received from our enthusiasts. 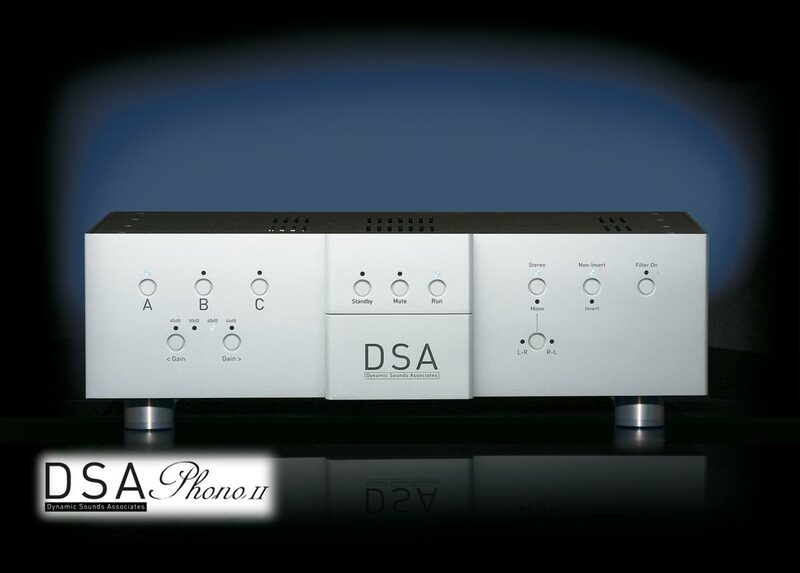 As with all DSA components, the Phono II is of solid state design, assuring consistent performance and reliability. What appears as classic design is fully in service to the ease of operation and versatility that this stand alone phono pre-amplifier generously provides. The Phono II creates a new standard for the performance and utility desired by those truly passionate about the possibilities inherent in analogue reproduction. 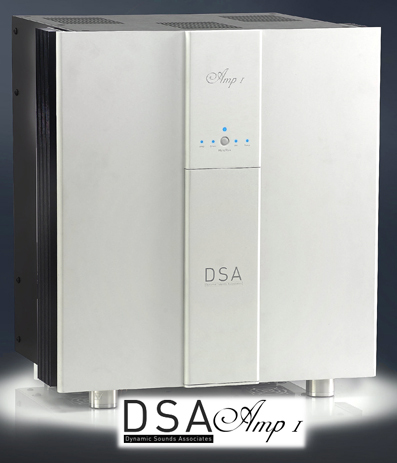 In Fall 2014, DSA introduced the Pre I Linestage Preamplifier. It continues the distinguished performance of the company's previous products- neutrality, full-dynamic expression and all-times a musical presentation. A cosmetic-match for the Phono II, the Pre I joins its older brother in offering real-world functionality and truly-useful features. The Fall of 2016 saw the introduction of the Amp I 125 watt/channel pure Class A solid state mono blocks at the Rocky Mountain Audio Fest. Miraculously, our principal designer, Douglas Hurlburt, found the solutions to allow this preferred generator of amplification to be put to work in any environment. The performance of a pair of Amp Is speaks for itself: a limitless sense of dynamic expression without any image compression or collapse coupled with a sonic imprint that is natural, sweet and always musical. DSA at the first ever Florida Audio Expo! We could not resist "strutting our stuff" at this exciting Florida-based consumer showcase (after all, we're based in the state). We'll feature the latest incarnations of our legendary Phono II, Pre I and Amp I (yes, we're always upgrading our products toward even better performance.) System announcements, special presentations & events TBA on our Facebook page.